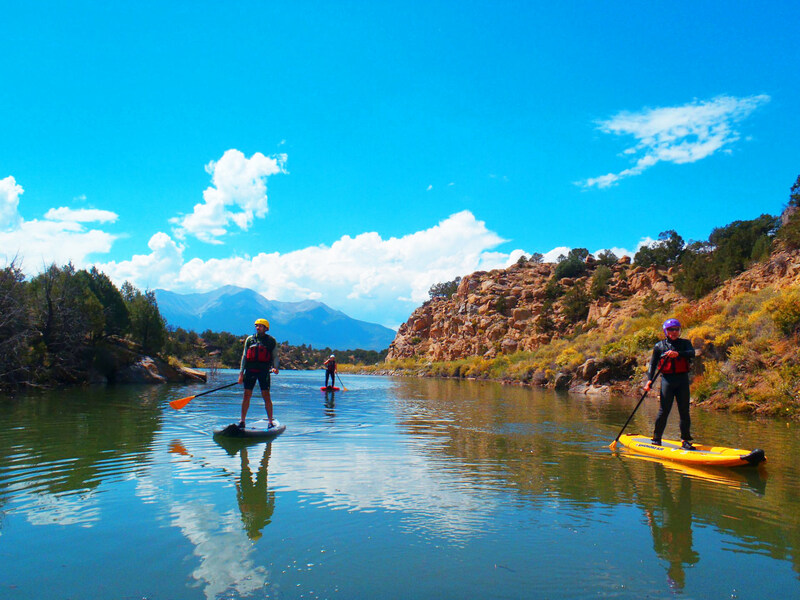 A great way to enjoy the Arkansas River Valley. Start the day off with a mountain bike ride on any one of our amazing trail systems. Then it is time to cool down in the river after a riverside lunch. You choose between an exciting surf session in the local waves, or a mellow paddle across Trout Creek Reservoir. Call for details! All Equipment included, Bike and SUP. Riverside Lunch Included.